This client has a collection of photographs the family took while on a visit to the American Southwest. They desired to build an elegant, eclectic room around their collection of memories. Traditional furnishings with custom fabrics and trims were selected. 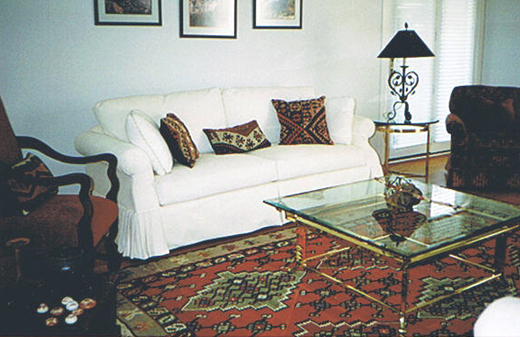 Accessories were chosen to complement the furnishings. I finished off the detailing with art objects by Native Americans, purchased from a local art gallery.